The start of the school year offers a timely opportunity to note work being done at the University. Illinois State completed one major construction project over the summer, is almost finished with two others, and is beginning renovations to a pair of older campus gems. Here’s a look at the Big 5 projects, courtesy of Illinois State’s Facilities Planning and Construction team. The campus hub for student life, named for former University President Robert G. Bone, is set to get its first major makeover since opening in 1973. The $2 million design phase, which began in July, is expected to take about a year to complete. The Board of Trustees will consider the construction phase of this project following completion of design and an overall funding plan. 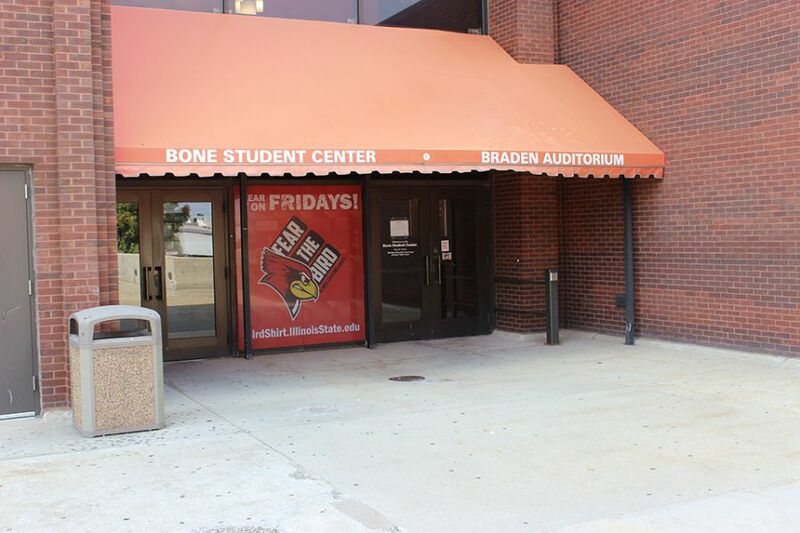 “The architects are saying that it will be transformational,” Bone Student Center Director Michelle Paul said. “We are very excited about what the possibilities will be.” The east and west entrances will be redesigned to make clearer entry points into the three-story facility. “We are hoping to get more light into the building,” Paul said. Portable walls will be added to the Brown Ballroom in order to create smaller meeting spaces within the center’s largest footprint. 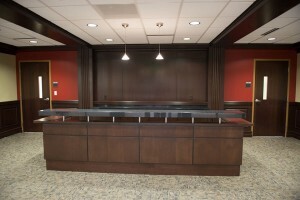 Other changes will include expanding the Student Involvement Center, relocating the catering kitchen from the second to the first floor, developing a Welcome Center, and creating new space for the Campus Dining Services’ administrative offices. 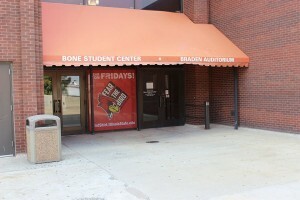 The Bone Student Center will remain open during construction. A completion date has yet to be set. The University’s largest lecture hall will undergo a $1.27 million renovation starting in early fall. The 7,350-square-foot auditorium will get new seating; flooring; and sound, mechanical, electrical, and plumbing systems. Seating capacity will be reduced by two seats to 738. 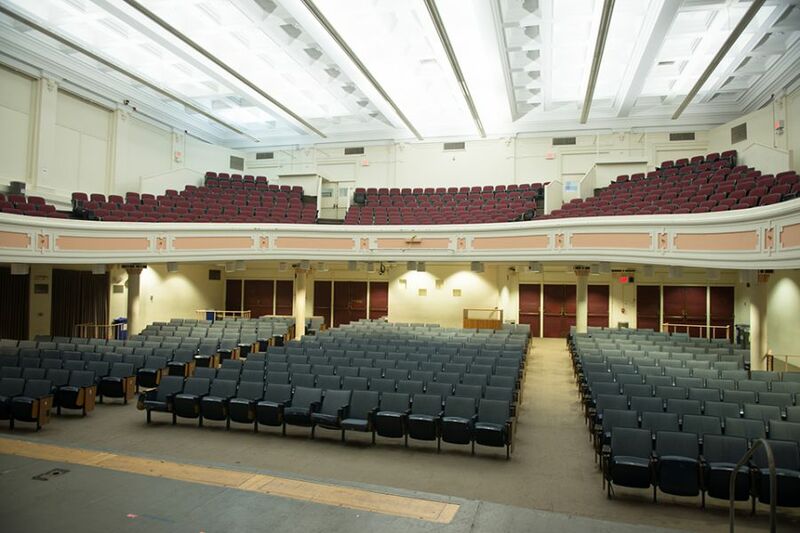 Besides some renovations in the 1990s, the auditorium has had no major improvements in its 105-year history. Larger classes will be held in the Normal Theater until Capen reopens next June. 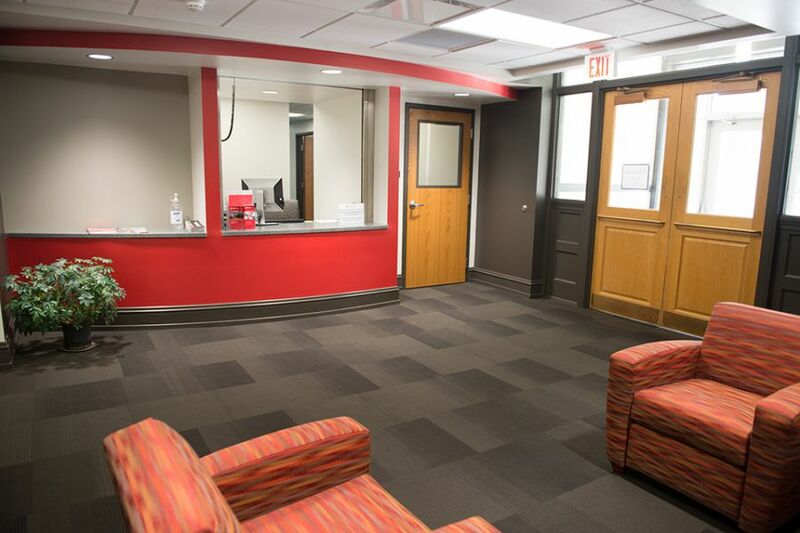 The first floor of 94-year-old Edwards Hall has undergone a $780,000 transformation. In July, the Mennonite College of Nursing moved into the renovated space, which includes 24 offices for staff and faculty, an interview room, a work room, a reception area, and space for research and support services. Work also included new painting, carpeting, ceilings, and lighting. The first floor had held nursing classrooms and laboratories; the area was vacated once the Nursing Simulation Laboratory opened in 2011. The lab was built to provide state-of-the-art instructional spaces and to accommodate an increase in the number of nursing students. The Financial Aid Office will be moving from Fell Hall into the renovated first floor of Hovey Hall in September. The move will end five years of major construction at the University’s main administration building, though minor work is expected to continue on the second floor. Everything in the 16,300-square-foot first floor is new except for the existing restrooms. 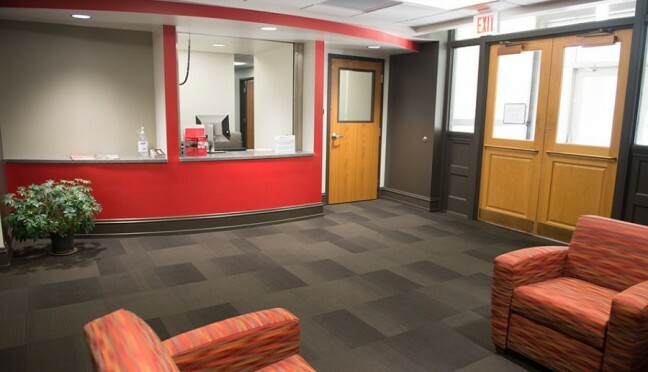 The $3 million project brings the Financial Aid Office closer to the Admissions Office, which is housed on the second floor of Hovey Hall. The previous first-floor occupants—several units of the Comptroller’s Office—relocated to the second floor of Uptown Crossing. In September, University Galleries will move from the Center for the Visual Arts to its new 8,370-square-foot home on the ground floor of the Uptown Station Parking Deck at Beaufort and Broadway Streets. The public will get its first peek of the new facility October 11 at the opening for New York City artist Walter Robinson’s show. The new gallery, composed of five art spaces, will host exhibitions of work by national and international artists, and by Illinois State students, faculty, and alumni of the School of Art. 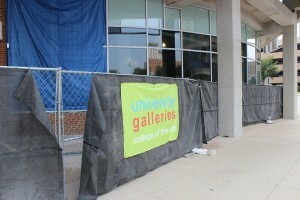 The gallery is a partnership between the University and the town of Normal, from whom the space will be leased. University Galleries Director Barry Blinderman envisions a community gathering space that will host art exhibitions, artist talks, concerts, and meetings. “It’s not like an ivory tower. It will be a real meeting place,” Blinderman said.